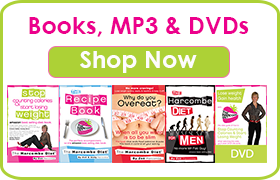 The Harcombe Diet® by Zoe Harcombe | What can I eat? 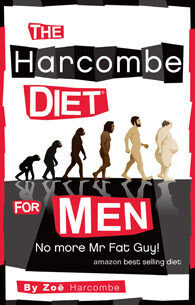 The Harcombe Diet® is about eating real food and ditching fake food. You won’t be counting calories, or points, or carbs, or starving every other day, or 2 days a week. You won’t be eating less – full stop. You’ll be eating better. This short video will explain the power of not counting calories, but making the calories you eat count. – Phase 1 is just 5 days long (although it is recommended to stay on Phase 1 for longer if you have more than 20lb to lose and/or if you have marked Candida overgrowth). You can have unlimited meat, fish, eggs, vegetables (except potatoes/mushrooms), Natural Live (bio) Yoghurt, herbs, spices and one portion of ‘safe’ grains daily (brown rice, quinoa, oats). if you email me your address, I’ll pop some cards in the post for you. 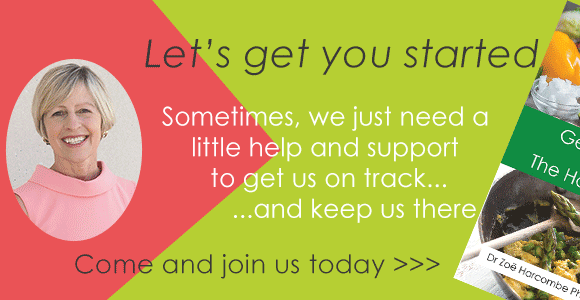 Or you can register with our online club (free) and there are some downloads you can access (also free). Hi – Me and my Dad have decided to do the Harcombe Diet together.. I’ll begin Phase 1 on the 21st Jan and he’ll start on the 22nd. Few questions..
– My Dad has type 2 Diabetes, is it safe for him in Phase 1 re no sugar as if he feels low and exhausted after some yard work he’s supposed to have a sweet. He regularly takes insulin. Any advice here for him I will pass onto him. – Is this right? Phase 1, no sugar, milk, bread, caffeine, no cheese, no processed food, but instead eggs, bacon, veggies, water, herbs and spices and meat is good or whatever recipes are in Phase 1. – The alternative FOS? for a sweetener, do I find this online or in a healtheries shop? is it sweet enough to sweeten a decaf coffee (once I’m off Phase 1) and is it expensive? – As per other questions on T2D, yes, it is safe but your dad will need to work with his GP to monitor his blood-glucose and adjust meds accordingly. – Some healthshops stock FOS, we’ve not used it for years as no-sweetener at all is best option long-term. please see my response to your earlier question below. Can you drink coconut milk in phase 1 and 2 of the diet? Coconut OIL is OK to cook with in any phase. We do use a tiny amount of creamed coconut block in one Phase 1 recipe (the famous butternut squash curry). A similar amount of coconut oil or milk in a recipe in P1 would be OK, but coconut milk is not for drinking until Phase 3, as the carb/fat (it’s a nut after all!) combo will start to add up. Plus, if other ‘milks’ are freely allowed, they will be used in drinks and then people will be grazing. Limited on Ph2, but be aware of the quality of the ingredients and what you have with it. I have just finished reading the book and I am thinking of starting the plan next week. There are few things I could not find. First: I know that I am dairy and lactose intolerant, can I swap with rice or soya milk? If so, how do I treat it (fat/carbs, protein?) and in which stage can I use it? Second: how about natural sweetness such as stevia or maple syrup? Can it be used at all? If yes, how and when? No need to eat them if you don’t want to. They just give you options if you want them. Sure. Just drop me an email with your address and I’ll pop some cards in the post for you. what’s wrong with just garlic? Try your best and cut the carbs out or at least down. Your first day you had oats then whole grain rice. I have chickens so on my first week here day # 3, I scramble 6 eggs with butter per breakfast. I am busy as well but by noon I am ready for my salad with turkey loaded with veggies using olive oil, hardboiled eggs & tomatoes stick blender as my dressing with seasonings. Today finally wanting a bit different meal for dinner. Eggplant, peppers, onions, purple cabbage, garlic sauteed in oil, add 3 cup chopped tomatoes & juice, add a cup of water season it really heavy. Simmer & stir until soft then sprinkled raw rolled oats stirred in enough for 4 portions stir put lid on simmer very low like porridge let it swell with the lid on. The oats thicken up the juices and make the best tasting satisfying meal. Better yet, next days after refrigerated. But I won’t eat again till after 5th-day is up! I am a carbaholic so if I can do it you can too. So uncomfortable to bend over and tie shoes UGH! I have 30 # to lose so I will be doing Phase 1 till it comes off and I am serious about losing them! First 2-3 days hardest. Today did not even get hungry after Eggs @ 7:30 am late lunch large veggie salad & turkey @ 2 pm. BEST WISHES!!! Ideally not, and Ph1 is just 5 days, thereafter ok.
I’m about to start Phase 1 and wondered if fat has to be removed from meat before cooking, or can I leave on and eat? Many thanks. Leave it on and enjoy the extra flavour. Hi there, I want to start Phase 1 asap but struggling to find a solid list of can and can’t haves? Is there anything on this site for a definitive list or are there cards or something that could be sent at all please? My mum and I want to lose weight for my wedding in a few months so want a good health boost. If drop me an email with your address, I’ll pop some cards in the post for you. Would it be possible for you to send me the cards too? About to start phase 1 and am vegetarian and a bit confused. Is bread allowed? Soya milk? Sure. Just drop me an email with your address and I’ll pop some in the post for you. If you can have creamed coconut in a phase 1 curry can you eat raw coconut (dried but with no additives or sugar etc- just coconut) on phase 1? JuSt wondered about long term effects of vlcd and ketosis. Ie do these have the same long term imact on maintain weight loss as counting calories has? Hello Andy 🙂 I was wondering if this diet suits those who have a vitamin D deficiency and are not allowed to consume dairies ? Hi Andy, I’m about to start phase 2. What cheese am I allowed to have as part of a ‘fat’ meal? I love the diet – worked well for me in the autumn but I didn’t get as far as Phase 3 so starting again with my husband this time. He’s asked if miso soup is ok for phase 1? Hi, I have intolerance in milk. Should i have my decaf with lactose free milk? Hi. Just about to start the Harcombe plan, but slightly confused with the meat part. As I understand i have read to avoid processed foods-so how can bacon and ham be allowed as these are processed meats? Thanks. Ask your butcher for dry cured ham/bacon with no sugar in the curing. There’ll then be typically only salt, which is fine. Is there anything that we can eat that helps/is good for Postate problems/prevention? Any evidence based support for this? Not looked specifically. You could try searching pubmed for evidence..? I am on phase one at the moment but have found a pea pasta in the dressing from section in the supermarket, can I have this? Have never come across that, so would err on the side of caution and stay off it on Ph1. Hi I’m a bit confused about the “don’t mix fat with carbs” rule. Does that mean that in Ph 2 for example I can’t have brown pasta with a bit of butter or oil? Hi i’m also cofusef with the “don’t mix fat with carbs” rule. at fase 2 can i eat meat with salad or veggies? meat is fat and salad carbs…. or salad with chease or egg? meat, fish, cheese, eggs (all fats) can be eaten with green veg and salad but not with rice, pasta, potato etc. I don’t understand why I can have jacket potatoes but not boiled new potatoes in their skins? I am not a big cooker and rarely eat meat but willing to eat fish and I am curious if there are any resources to help me know when I should be eating what. It meantioms a carb meal. I know there are phases but I am unsure of what to eat when during the day. Any help would be greatly appreciated!! Hi Andy – can you take fenugreek and fennel powders. Just started Ph1. Is is okay to have home made kimchi and sauerkraut? Hi Andy, is it ok to have oatly with my porridge? It’s ingredients list is oat base (water, oats 10%), sea salt. Is possible to have brown black rice (50g) during phase I ? I read brown rice but iwas used to tha black kind, is it the same? Can i have sweet potato as a vegetable or is it considered a carb please? Treat is as any other potato. Hi. Can I have home produced honey in phase 1? For things like porridge or yogurt? Also, can I add seeds & nuts? Full fat dairy cream is delicious and fine (as long as you’re not dairy intolerant). If you drop me an email to clubadmin at theharcombedietclub dotcom with your address, I’ll pop cards some in the post for you. In what phase can I have pickled veggies? (Pickles) also, can I have olives in all phases? Hi Kaz, many vegetarians have followed the diet with great success. Having fish increases your meal options too. you can use oils or butter in small amounts for cooking. Go for the full-fat on Ph1 as it’s far more satiating. Stick to having it at mealtimes. I have been on this diet for 5 months and lost 2 stones. My cholesterol has gone up to 7 from 5. My doctor as advised me to come off the diet because. I really don’t want to do that because it’s the only diet that I am not hungry on and feel that I could stick to this diet. Hi Margaret. Well done on your weight loss. Here’s a summary page on Cholesterol, which you may want to share with your GP. Hi Andy I didn’t get the summary page please could you send it to me again. Thank you. I am continuing on the Harcome diet but would like to show the summary to my GP please. Can you eat seaweed in phase 2? yes. I have it occasionally, in small quantities. I Have a physical job and I exercise every other day . What foods can I eat after exercise on this diet. Eat according the the phase that you are following and enough to satiate you appetite. Wait a while after exercising and you may find that your hunger diminishes. Do I weigh safe grains in Phase Two…. re-reading and cant seem to see answer…maybe I am missing?! Thanks! Which book do you recommend to get started with the diet. Do they all come with some basic recipes to help start me off? Stop Counting Calories or The Three step plan are best. Both have recipes, The Recipe Book (blue one) has hundreds more. Hi can you have almond milk with the puffed rice or is this classed as fats, from the nuts? Hi, I started phase 1 yesterday and just wondering whats best to put in scrambled eggs and a omelette when u can’t have milk? I just use eggs, scrambled with a bit of butter. No need to ‘thin’ with milk or anything else. Just wondering if i can have kefir instead of or aswell as plain yoghurt? New to this and as I am gluten and dairy intolerant I am wondering if this diet will cater for me with recipies that take the intolerances into account? Phase 1 caters well for intolerances (no gluten or dairy) and many recipes in all recipe books cater for both intolerances. I seem to remember reading something about leaving so many hours between eating a carb meal and a fat meal, but can’t remember where? Please can you advise me? 4 hours – That would be explained in Stop Counting Calories & Start Losing Weight. Never tried it for cooking. I understand that it has a low flash-point, so low-temp frying only. yes on phase 1. On Ph2, you’d want to make it a carb meal.